Good morning, read-a-thoners! It’s finally here! I haven’t had my coffee yet so it hasn’t hit me. 2. Which book in your stack are you most looking forward to? That’s a good but hard question. My stack is huge and there’s so many books to look forward to including Maggot Moon by Sally Gardner (YA), the short story collection, Queen Victoria’s Book of Spells, and Lynda Barry’s What it Is (graphic non-fiction). 3. Which snack are you most looking forward to? The Florentines that I plan on buying this morning from the bakery. 4. Tell us a little something about yourself! For some reason, this question always gets me. Here’s something: I’ve only missed the read-a-thon once since it started. 5. 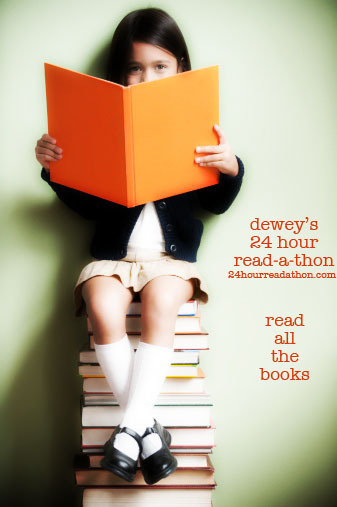 If you participated in the last read-a-thon, what’s one thing you’ll do different today? If this is your first read-a-thon, what are you most looking forward to? I wouldn’t change anything. I know this event inside out! I’m going to update my progress throughout the day via this blog, Twitter, and Instagram. Wish me luck. left comments on blogs, twitter, and through Instagram. fixed the coffee pot after my mom kind of broke it. A read-a-thon without coffee? Crazy! My current read is I Am the Messenger by Marcus Zusak. I would retitle it: 19 Year-Old Dead Man Feels Alive Saving Others. 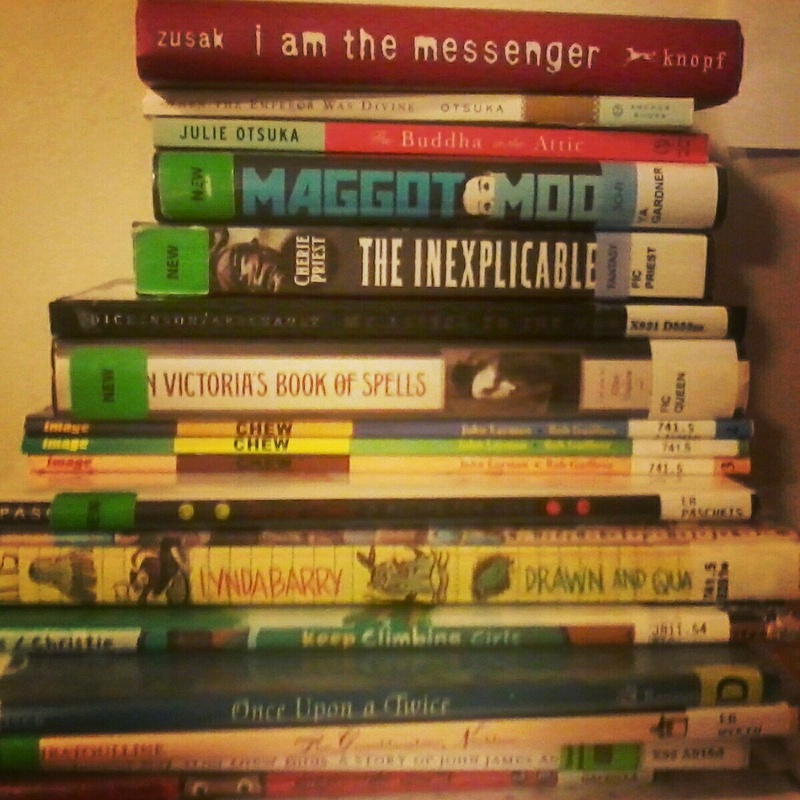 Looks like you have a good Readathon-appropriate stack. I hope you’re enjoying your reading! That’s a great stack! I have so many I want to get to, I’m not sure where to start, lol. Great list! So glad you’re reading today too, Natasha! 😀 😀 😀 Hope you and the kids enjoy every single second!!! Every time I see this stack all I can say is WOW! That is so impressive. You go girl! Oh and by the way…What are Florentines? And is it a carb? lol! Happy Reading Chica. 🙂 I’ll check back soon. Thanks girl! It’s hard to explain Florentines. They look like small pretzels but are made out of nutmeg, sugar, and probably ginger. I’m going to take a picture once I get to the bakery so you can see them. Sugar + Bread = HEAVEN!! Good luck, happy reading! I also have never heard of Florentines, but they sound amazing. That about me question always gets me too! I hope your day is going well! You are fully prepared for the readathon! Have fun! Sounds like so much fun! Looking forward to your updates! You have quite the reading stack. Mine is pretty big as well. A girl’s gotta have options, right? So far I’ve made soup, visited blogs, and read just a tiny bit. Happy reading! Wow, you’re a readathon pro! I hope you’re having a blast! I need to go to the grocery store, but I don’t wanna. I’m not sure about my pile this year; I might start reading some others from off the shelves. Hope you are having fun! 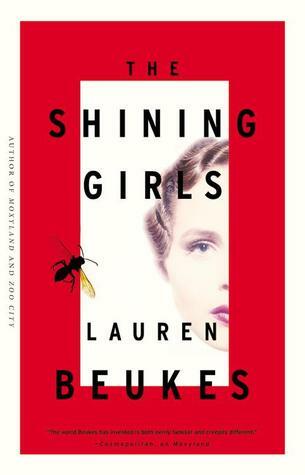 Great list of readathon books! Glad you fixed that coffee pot – can’t imagine a readathon without coffee. Happy reading! A broken coffee pot on readathon day?! So glad you were able to fix it. Looks like you have a great stack of books, I hope you’re enjoying the day and getting plenty of reading in! A broken coffee pot?!?! That would be a readathon disaster 🙂 Actually, for me it would be a disaster almost any day. I’m amazed you’ve only missed one readathon in all these years! Congratulations on a great readathon yesterday! I always love your RAT stacks. I wasn’t RATing with you this time, but I hope to have the weekend in the autumn reserved, and I’m sure my stack will be ridiculously unmanageable, as usual. Have you recovered yet? I’m kind of recovered. It seems like the second that the read-a-thon was over, it was back to school and homeschooling. I need another break. I’m going to try my best to email you back this week, M. 🙂 I miss talking to you. I love the read-a-thon. I wish there was time to visit, do challenges AND read. There’s never enough time to read. Wolf at the Door looks cute. I started reading the YA sci fi fantasy,Scarlet, based on the fairy tale of Red Riding Hood!